Last week we discussed some of the various happenings in the colonies following the Stamp Act Repeal. I want to begin this week by discussing a few of the changes in Britain, specifically the ongoing game of musical chairs in running the government. With his Stamp Act repeal in 1766, Prime Minister Rockingham seemed to have settled the crisis in the colonies, at least temporarily. Even so, he could not form a stable long term government. 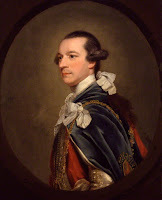 From the beginning, he had been a compromise appointment because William Pitt demanded too much autonomy as a condition of serving as Prime Minister. Rockingham had picked some great men to work for him. He had even hired a young up and comer named Edmund Burke as his private secretary. But his ministers were largely Pitt supporters. Rockingham never got the loyalty he needed to maintain a government. Rockingham also owed his appointment to the Duke of Cumberland. You may recall from Episode 009, the King’s uncle had been banished from politics by George II after his military defeat during the Seven Year’s war. George III, however, who was still in his late 20’s, had relied on his uncle as an experienced advisor. Cumberland had advocated Rockingham’s appointment. When Cumberland died in October 1765, Rockingham lost a valuable supporter. King George understood that Pitt was the major force in Parliament. He had tried on numerous occasions to convince Pitt to form a government. Pitt, however, had always put too many conditions on his appointment Now finally, the King and Pitt were able to come to mutually agreeable terms. Rockingham resigned in July 1766, allowing Pitt to form a new government. Rockingham had served as Prime Minister for only one year, but would go back to being a vocal member of the House of Lords. Despite essentially running the government during much of the Seven Years War, Pitt had never been Prime Minister before. While he was conducting the war, Newcastle had retained that title. Now Pitt was in both name and fact the Prime Minister. He did not take on the role as First Lord of the Treasury, as prime ministers usually did. Instead he became Lord Privy Seal. This job required a title of nobility. The King granted Pitt the title of the Earl of Chatham. This also had the effect of removing the “Great Commoner” from the House of Commons into the House of Lords. If I was going to be consistent, I’d start calling him “Chatham” from now on. But Pitt will always be the “great commoner” to me. I’m going to keep referring to him as Pitt. Congratulations on the new title though! Pitt’s rise to Prime Minister encouraged colonial leaders even more. Pitt was part of that radical minority who believed that Parliament did not, as a matter of right, have authority to levy taxes on the American colonies. With the Stamp Act repealed, Parliament on the defensive, and the most pro-colonial member of Parliament now running things, everything should be just fine going forward. That, of course, is how this crisis ended, and Britain and her colonies lived in harmony for years to come. Except if that really happened, there would not have been a revolution and we would not have this podcast. Alas, the Pitt ministry would not be sunshine and lollipops for the colonies. Despite his experience and demands for autonomy, Pitt did not seem to be able to control his own administration. He had been ill for many years on and off. He spent much of his tenure as Prime Minister, lying in his sick bed. He relied on his ministers to run the government. Clearly Pitt knew about the laws being proposed. In correspondence he appears to approve, or at least not object to the proposals of his ministers. But given his physical condition at the time, it is unclear how engaged he really was. The bad guy in the Administration was Lord of the Exchequer, Charles Townshend. Townshend did not share Pitt’s views of colonial rights. He was determined to exert Parliamentary control over the colonies. As a member of Pitt’s Administration, Townshend passed a series of laws in June 1767 that became known collectively as the Townshend Acts. By all accounts, Townshend was a likeable guy. He was the younger brother of George Townshend, one of the Generals I mentioned back in Episode 013 at the Battle of Quebec. Brother George was also sitting in the House of Lords now. Charles enjoyed a good party. He once gave a speech to Parliament while obviously drunk, earning him the nickname “Champagne Charlie.” Despite enjoying good drink, Townshend buckled down in his new job, which included trying the balance the budget. As always, Parliament remained concerned over costs. Forget about past war debts. The current military presence in North America was now costing Britain upwards of £400,000 per year. Revenue from existing tariffs were only providing token amounts toward these costs. Opposition members like former Prime Minister Grenville were happy to poke the Administration which was now responsible for solving such problems. Pitt was always griping about the liberties of the colonists. Let him find a way to raise the money now that he is in charge. Townshend knew he was not going to balance the books now, or even within a few years. But he was determined to increase revenues from the colonies. He also tried to implement policies that would compel future obedience to the law. Public opinion in England was changing as well. 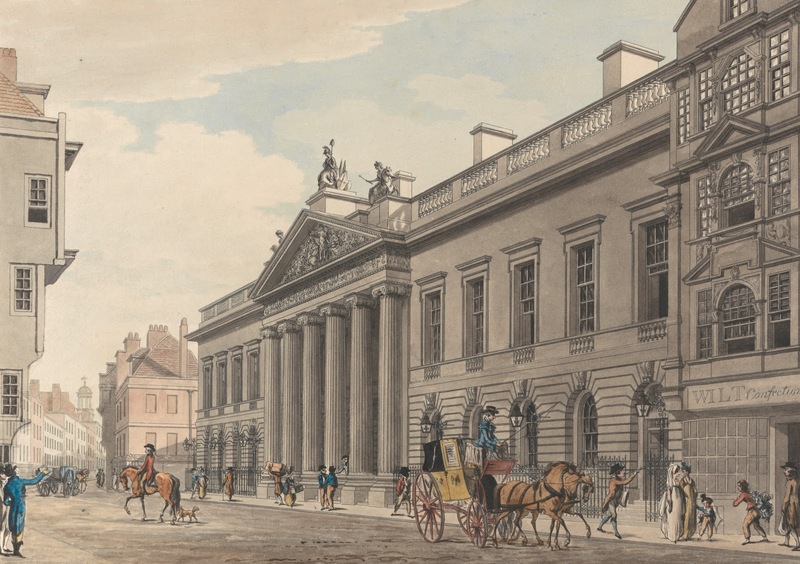 A series of newspaper articles had compared tax burdens in England to those in the colonies, showing people in England suffered under much higher taxes. There also remained the tiff between London merchants and the colonists who refused to express gratitude for help repealing the Stamp Act. The English people were beginning to decide that the colonists were just too full of themselves and did not appreciate what they had. The British people were also in a strong anti-tax mood. The Bute Ministry had implemented the hated Cider Tax in 1763 to help pay off war debt. The tax, in part, led to his resignation and the end of his ministry. 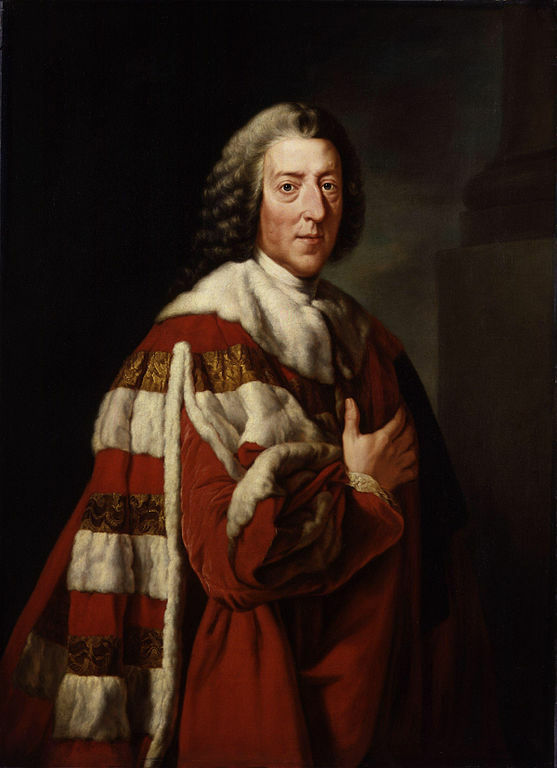 His successor Lord Grenville, had maintained the hated tax, as did Rockingham. As much as the British people hated the tax, it was bringing in much needed revenue. Pitt, however, who had made much of his career railing against the tax, finally repealed it. On top of that, Parliament reduced the land tax from 4 shillings to three shillings. Townshend had opposed this reduction, or at least hoped to put it off for a year so that the government could get the much needed revenue. But his predecessor who sat in Parliament, proposed the reduction. The popular bill passed both houses despite the Ministry’s concerns. Again, you might ask why Townshend’s predecessor did not see a reduction while he was in charge. The truth is, that everyone knew the government needed the revenue to pay off debt. The popular tax reduction was just another way for the opposition to screw the ministry and make it harder for them to balance the books. So with all this going on, Townshend had to find a way to start bringing in more money. Since more local taxes seemed politically impossible, the obvious answer seemed to be to find a way to squeeze more money out of the colonies. In the of spring 1767 the government began a new attempt to extract more revenue and compel the compliance of the colonies. That summer a series of bills that we call the Townshend Acts became law. There is some debate over which Acts should be included in the group known as the Townshend Acts. The first Act I will discuss was passed a couple of weeks before the three main laws, and does not have anything to do with revenue. Still, it came over to the colonies at the same time as the other Acts and contributed to the colonies’ tension with England, so I’ll discuss it along with the rest. 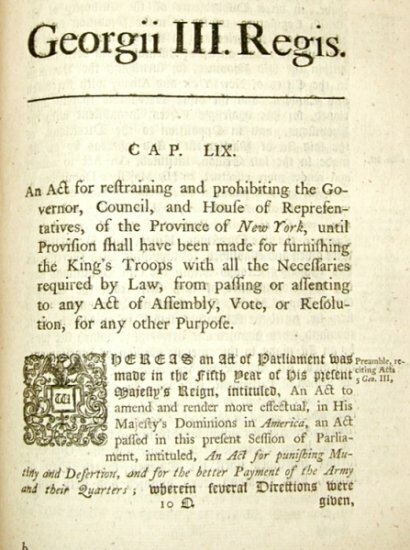 On June 15, 1767, Parliament passed the New York Restraining Act to punish the NY Assembly for its refusal to obey the Quartering Act and pay for the quartering of troops as I discussed last week. The law essentially said all laws passed by the NY Assembly after October 1, 1767 would be null and void until the Assembly provided adequate funding for the troops stationed in its colony. This was not a battle, however, that New York was prepared to fight. Before Parliament even passed the bill, New York received news that some retaliatory action was coming. It acted quickly to pass a bill on June 6th which allocated £3000 for the soldiers. Parliament, unaware of this, passed the Act anyway. Once officials received word of New York’s action, they deemed this amount sufficient to comply with the Quartering Act. The suspension of legislative powers in the colony never took effect. Still, when word reached the colonies that Parliament had essentially suspended the NY legislature because of its refusal to comply with Parliament, colonists went on alert that their powers of self-government were being threatened once again. Townshend’s main goal that year was not just getting colonies to pay for soldiers. He wanted to collect some money. He was smart enough to avoid any direct internal taxes on the colonies. All of Pitt’s earlier speeches about how that was contrary to the rights of Englishmen made that a non-starter. With that in mind, Townshend introduced the Revenue Act. Parliament passed this Act on June 29, just two weeks after the NY Restraining Act. This is the main legislation, sometimes called the Townshend Act. It would create or increase tariff duties on a wide range of items, including paper, paint, lead, glass, and tea. Money would be collected through tariff duties, not internal taxes, so nobody gets upset, right? During debate on the bill, Townshend estimated that the tea tax alone would raise around £20,000 per year, and the other duties combined would raise around £17,000. Even if it raised promised revenues, it would not cover even 10% of the military costs in the colonies. By this time though, Townshend decided that the revenue would not be used to cover military costs at all. Instead, the new law allocated revenue from these new duties to pay the salaries of colonial governors and judges. This amounted to a form of tax relief since the colonial legislatures would not have to pay those costs themselves anymore. But colonial legislatures understood that losing control of that pay responsibility meant losing power. Even though legislatures had been obligated to pay the salaries of their appointed governors, they could at times withhold pay for a short time in order to push a governor on certain issues. If the English government paid colonial governors and judges, they would be more likely to be biased in favor of the crown and Parliament rather than local officials. Even if the colonists could swallow those “external taxes” The Act created additional controversy by requiring courts to issue use of writs of assistance to customs officials. These were general search warrants that permitted customs officials to search homes and businesses for smuggled goods without specific evidence of a crime - you know, the same ones that James Otis has been screaming about as a violation of fundamental rights for years. Along with the Revenue Act, Parliament passed the Indemnity Act on the same day. Parliament’s goal with this law was to help the East India Company, which had a legal monopoly on all tea trade within the British Empire. I will discuss the East India Company in more detail in a future episode. For now, I’ll just say that the Company was a major cash cow for the government and was in financial trouble. Now I've been trying to make sense of this law, and it seems that historians disagree on its effect exactly. I’ll try to spell it out, with the warning that I may have misunderstood some of this. Before this Act, all tea from Asia had to be shipped to London. There it was subject to a 25% tax as an import. Next, the tea was stored in a warehouse to be sold at auction, where the government extracted another 25% duty. Then, it taxed 1 shilling per pound of tea. So more than 50% of the cost of a cup of tea in Britain was government taxes. Tea headed to the colonies, first had to land in Britain and pay the 25% duty, but they avoided the inland duty as well as the 1 shilling per pound tax. Even with the reduced taxes, the vast majority of the tea imported into the colonies came illegally from the Netherlands. Incidentally, smuggled Dutch tea also made up a large amount of tea consumed in England. It was just so much cheaper without all these taxes. That was one reason the East India Company was in financial trouble. The 1767 Revenue Act created a new three pence per pound tax on tea imported into the colonies. However, the Indemnity Act was designed to make tea cheaper overall. The East India Company was losing money. The Company was an important source of revenue for the government and needed to remain solvent. The Act eliminated the 25% inland tax in Britain, making the price much more competitive there. It also refunded part of the 25% customs paid on tea that was shipped from Britain to the colonies, meaning colonists would pay substantially less than they had been paying. The cost of tea in America would be about half the price of tea in England. Part of the Indemnity Act guaranteed that the amount of revenue the government received would not fall below current levels, so the Company had to pay additional taxes on any shortfalls. But the idea was that lower prices would greatly increase consumption and therefore the Company’s profits. So in theory everybody won from this deal. The total price of tea in both Britain and the colonies got cheaper. The East India Company sold more tea and made more profits, and the British government got a guarantee that tea revenues would not decrease. The only losers were the Dutch traders and the folks who smuggled Dutch tea. Under other circumstances, the colonies probably would have welcomed the change. But they complained anyway. The big issue was that merchant vessels would pay the three pence tax in the colonial ports, rather than being added into the price after collection in Britain. Colonists could see the amount extracted from them. The law also threatened to cut into the highly profitable business of smuggling Dutch tea. Smuggling was becoming riskier and the tea had to compete with cheaper tea from England. That meant less profits for colonial merchants involved in smuggling Dutch tea. The Commissioner of Customs Act also passed Parliament on the same day as the Revenue Act and the Indemnity Act. It created a new Customs Commission, headquartered in Boston, with offices to be opened in all major North American ports. Prior to this, the main Commission in London handled all customs enforcement. Creating a separate Commission to focus just on North America, with increased funds for enforcement, would ensure that trade laws were enforced and customs duties collected. Customs officials would be held accountable specifically for the American revenues. It also required more officials be present in America to ensure proper enforcement. Essentially, this was another step that Parliament took to show it was serious about customs enforcement. It also meant that customs commissioners and the colonial mobs would be face to face for the first time. The Townshend Acts always seemed rather passive aggressive to me. They technically addressed concerns about only implementing external duties rather than internal taxes. But beyond that, they seemed to do everything possible to annoy the colonists. The Acts specifically said they were for raising revenue, not regulating trade. They introduced general warrants and juryless trials. They needlessly put tax collectors right in front of the colonists and practically dared them to do something about it. British merchants, now annoyed by the colonists who were seen more and more as unappreciative free riders, seemed to support the new laws. Benjamin Franklin, colonial agent not only for Pennsylvania, but also Georgia, New Jersey, and Massachusetts, assured Townshend and other members of Parliament that as long as they stuck to tariffs and did not try to levy internal taxes, the colonies would accept them. He essentially gave his seal of approval to the new laws. No other colonial agents seemed to raise any objections either. The Acts sailed through Parliament with almost no opposition. They would take effect on Nov. 20, 1767. Surprisingly, former Prime Minister George Grenville, seemed to have a better grasp on colonial sentiments than did Franklin. Now, a regular member of Parliament, Grenville spoke out against the Townshend Acts. He told Townshend that the colonists “will laugh at you for your distinctions about regulation of trade” and that import tariffs would harm British merchants as the colonies moved to manufacture more goods locally. Grenville wanted a more aggressive policy that would not tiptoe around colonial tax sensitivities. He wanted a showdown. Grenville though, was in the minority now. 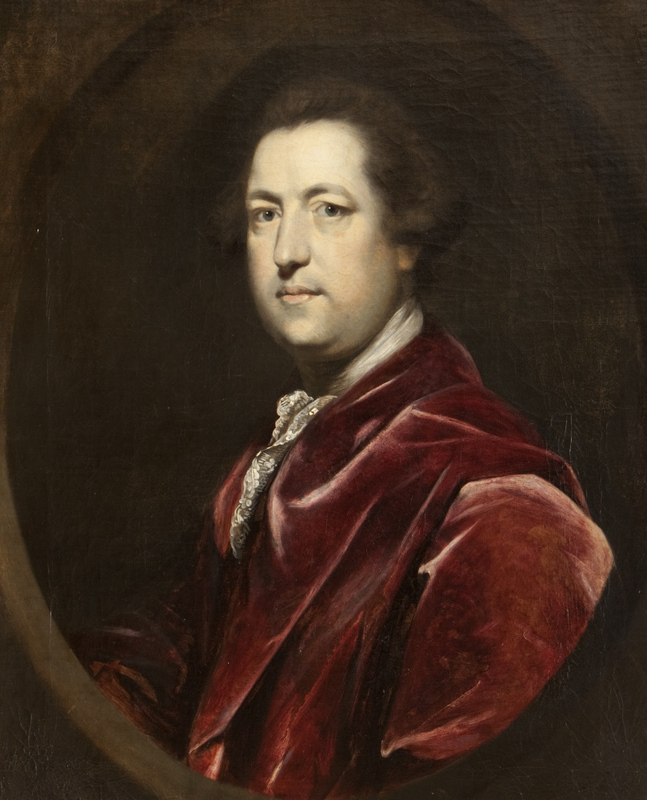 Townshend’s approach won the approval of Parliament and the Acts went forward as proposed. With the Townshend Acts, Parliament was calling the colonies’ bluff. The Stamp Act protests had essentially argued that internal taxes, like the Stamp tax, were unconstitutional. At the same time, the colonies had generally conceded that trade tariffs were permissible. Yes, there were a few radicals like James Otis who objected even to tariffs, but even in the colonies only a tiny fringe minority held that view. Parliament had maintained such tariffs on the books for decades, even if they were not very well enforced. Next Week, the British government undergoes more personnel changes while colonists try to decide how to respond to these new tariffs. Cushing, Harry (ed) The Writings of Samuel Adams, Vol. 1, New York GP Putnam's Sons 1904). Farrand, Max "The Taxation of Tea, 1767-1773," The American Historical Review Jan., 1898, pp. 266-269. Fitzgerald, Percy Charles Townshend, Wit and Statesman, London: R. Bentley, 1866. Hutchinson, Thomas & Hutchinson, John (ed) The History of the Province of Massachusetts Bay, from 1749 to 1774, London: John Murray 1828 (This book was edited and published using Gov. Thomas Hutchinson’s personal papers. The editor was his grandson). Hutchinson, Thomas & Hutchinson, Peter Orlando (ed) The Diary and Letters of His Excellency Thomas Hutchinson, Boston: Houghton-Mifflin Co. 1884 (Editor is Thomas Hutchinson’s great-grandson). Miller, Marion Mills (ed) Great Debates in American History, Vol. 1, New York: Current Literature Publishing Co. 1913. Ridpath, John Clark James Otis, the Pre-revolutionist, Chicago: The University Assn. 1898. Tudor, William The Life of James Otis, of Massachusetts, Boston: Wells and Lilly 1823. Ward, AW, Prothero, G & Leathes, S (eds) Cambridge Modern History, Vol. 6, (18th Century Britain) Cambridge: University Press 1902. Archer, Richard As If an Enemy's Country: The British Occupation of Boston and the Origins of Revolution, Oxford: Oxford Univserity Press 2010. Dickerson, Oliver M. The Navigation Acts and the American Revolution, New York A.S. Barnes & Company, 1951. Griffin, Patrick The Townshend Moment: The Making of Empire and Revolution in the Eighteenth Century, New Haven: Yale University Press, 2017. Keay, John The Honourable Company: A History of the East India Company, New York: Macmillan Publishing Co. 1991. Miller, John Origins of the American Revolution, New York: Macmillan Co. 1943. Sutherland, Lucy The East India Company in 18th Century Politics, 1952.